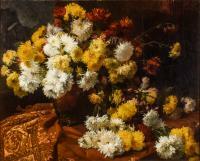 Alten produced more than seventy floral paintings throughout his career and later noted that he probably painted more still lifes than any other theme. 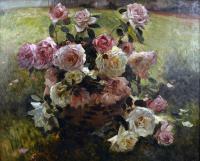 Floral paintings were a subject matter that remained popular with his art patrons throughout his life. 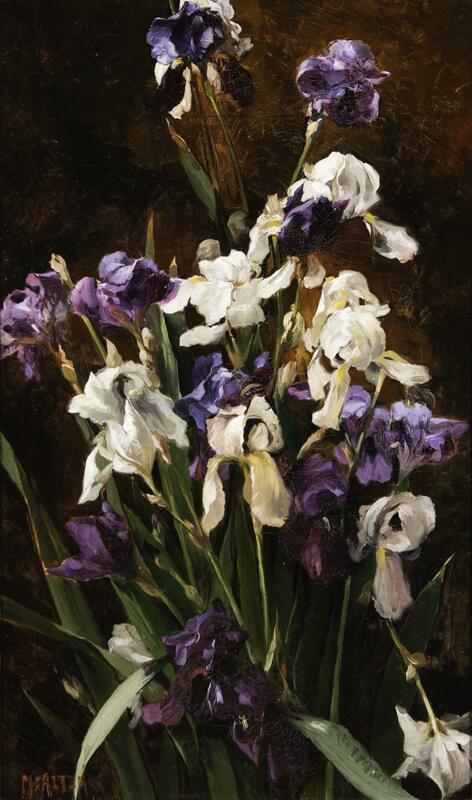 Purple and white irises against a dark black and brown background.